Rian Butler is a fierce legal advocate who fights tirelessly to help our clients pursue the full compensation they deserve. 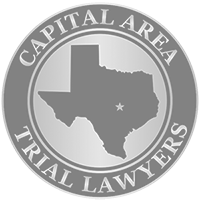 A personal injury attorney based in our Austin office, he focuses his practice on car accidents, premises liability, dog bites, and more. Rian’s professional success has stemmed from his competitive nature, as he is willing to go to bat for our clients no matter how difficult a case may seem. He spent time living in Ireland and England in high school, and his unique upbringing has enabled him to relate to people from all walks of life. One of his greatest strengths is his cool and calm demeanor, but do not underestimate his grit: he will fight tooth and nail to help his clients receive every penny they are owed. After graduating with a bachelor’s degree in accounting from the University of Houston, Rian went on to earn his juris doctorate from the South Texas College of Law. Prior to joining Zinda Law Group, he gained valuable litigation experience at another personal injury firm, where he worked as a project manager and accountant before taking on the role of attorney. In that position, he managed both oil spill and personal injury dockets, and he represented plaintiffs affected by the Deepwater Horizon oil spill. This talented litigator is active in his professional community as a member of the Texas Trial Lawyers Association and the American Association for Justice. In his leisure hours, he enjoys spending time with his family, playing golf, and cheering on Houston sports teams.